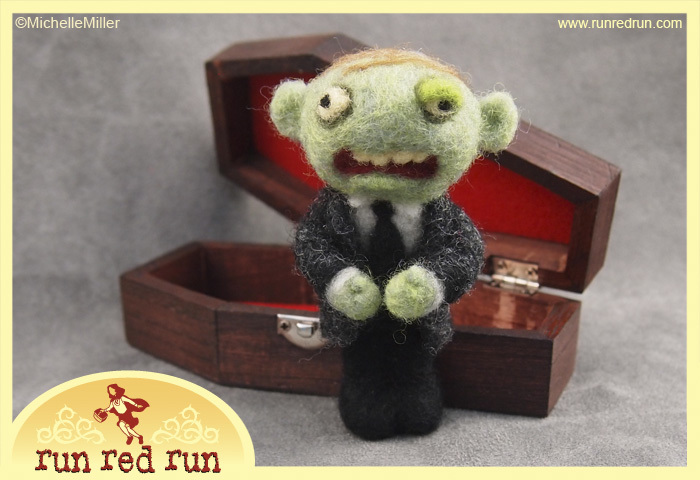 Needle Felted Little Zombie For Sale! By now you might know the drill. 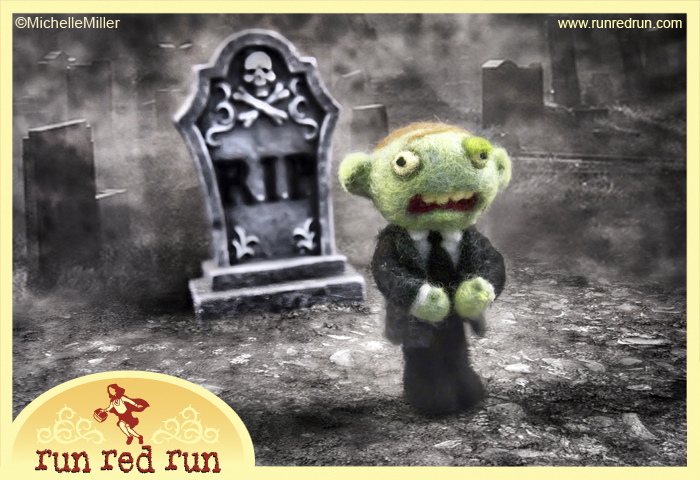 At midnight on 13th of every month the SpookyTime Jingles site updates. That means a lot of very talented artisans will have a whole slew of new one-of-a-kind art pieces will be up for grabs! It’s really pretty cool to see what they’ve all cooked up each month. I hope you check it out. And me? I’ll have a new item for sale too! 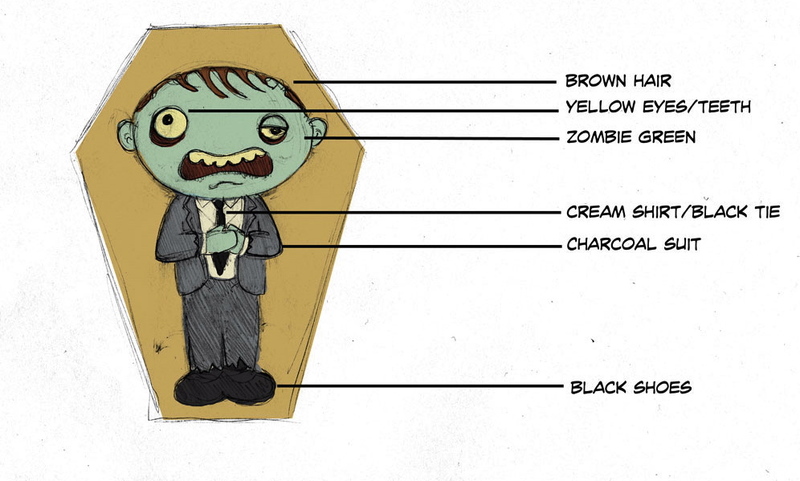 It’s a little zombie I put together based on artwork by illustrator Vince Dorse. Get all the details on this sale on my STJ page!